We've shopped around to find the best backup cameras to help you stay safe and alert. We added a trailer backup camera (Swift Hitch SH04) to our top picks and removed three cameras because they no longer met our criteria (Esky EC170-20, Rear View Safety, and Crux). Outside our top three picks, we've added five new cameras we deemed worthwhile (LeeKooLuu, Auto-Vox X2, eRapta, Car Rover, and eRapta ERW01). While many of us like to think we have eyes in the back of our heads, none of us has eyes in the back of our cars, leaving us vulnerable to dangerous accidents whenever our vehicles are in reverse. A backup camera can see where your eyes—and your rearview mirrors—can’t, and it provides a reliable solution to this daily driving risk. Don’t worry if your car didn’t come with a backup camera already installed—today’s aftermarket backup cameras are affordable and easy to set up. When it comes to choosing one, you’ll need to consider the size of your vehicle, the way you’ll use your camera, and the type of installation you’re willing to do. 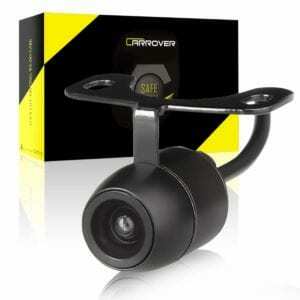 We’ve shopped around to find you the best backup cameras to help you stay safe and alert. 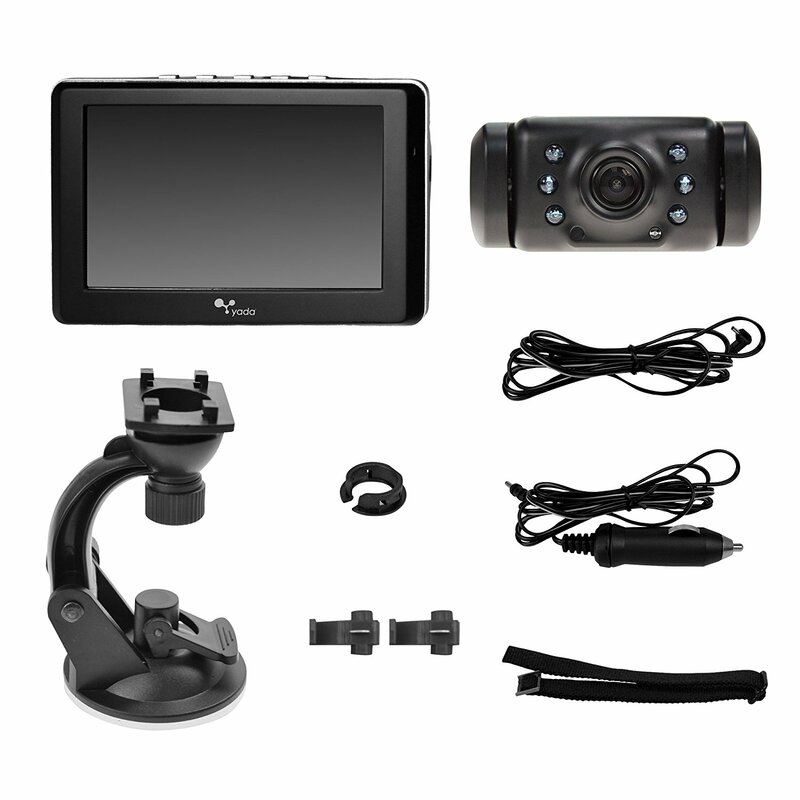 The Yada Wireless Backup Camera is our overall pick because it’s reliable, affordable, and easy to install. It does have a shorter wireless range than other cameras on our list (so it may not be the best choice for long trailers or campers), but it’s got a great viewing angle, a clear picture, and parking assist. A water-resistant casing protects the camera from dust and moisture, and the camera mounts easily onto your license plate. It comes with zip ties to secure the power cable, as well as two different mounting options for the monitor. The Yada is designed to automatically turn on and send a live feed to the monitor as soon as you put your car in reverse, but there is a slight lag time of a few seconds before the image appears. 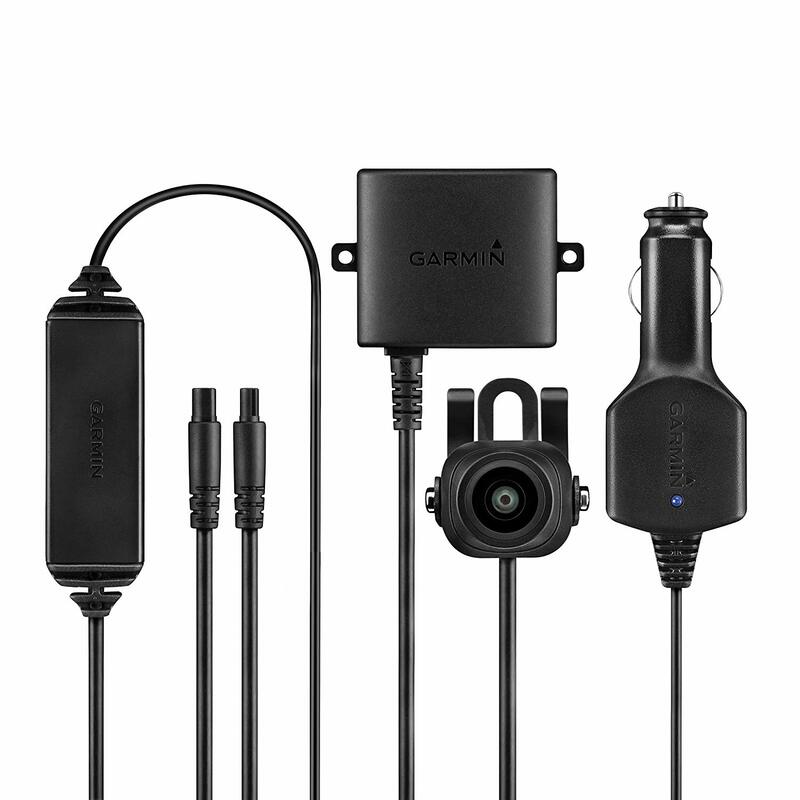 The Garmin BC 30 camera doesn’t come with a monitor, so you’ll have to pair it with a Garmin GPS navigator to see the camera feed on a screen. But because the camera “recognizes” the GPS, there’s no syncing required, which is nice. If you have an older car without a GPS or a back-up camera, you can get two handy devices that work together on a single screen. When you put the car into reverse, you’ll see the images from the backup camera, and once you put it back into drive, you’ll be able to see your navigation system again. Garmin recommends that you have the BC 30 professionally installed, because it may require drilling a hole to get the power wire connected to the reverse lights. The camera’s picture quality isn’t great, but the camera itself is rugged and durable, and we like that you can adjust the parking assist feature using the touch screen on your GPS. The Garmin Drive GPS does double duty as a monitor for your backup camera and as a top-notch navigational system. It has extra features like Driver Alerts to warn you of potential dangers up ahead and Real Directions, which gives you directions like a friend would, with landmarks and buildings. Our favorite thing about the Swift Hitch is that you can power the camera with a wire or use rechargeable batteries for wireless operation. Its 100% wireless feature means you can truly mount it anywhere, making it ideal for trailer hauling, and you’ll get a low battery alert when it’s time to recharge. 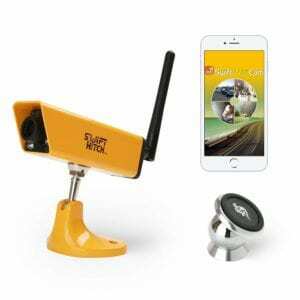 There’s no monitor included, but the camera creates a Wi-Fi hotspot, so you can use your phone or tablet as a monitor without needing an internet connection or using data. The camera app is designed so you can still receive calls and texts while viewing camera footage. We like that you can connect more than one camera to your LeeKuuLoo monitor in case you want to attach one to a hitch and another to the back of a trailer. Unlike most backup cameras that only show a picture when your car is in reverse, the LeeKuuLoo has a constant viewing option, so you can keep an eye on what’s happening behind your vehicle at all times. We wish that the camera were easier to adjust—it adjusts up and down but not side to side, and you might see some color distortion in the monitor in colder temperatures. When it’s time to install your LeeKuuLoo, we recommend searching online for installation videos, as the instructions that come with the kit aren’t very clear. As the priciest camera on our list, the Auto-Vox X2 has a lot to live up to, but with an included dash cam, video recording, audio recording, and a monitor that doubles as a rearview mirror, this device has it all. We like that it fits right over your rearview mirror with elastic straps, putting your backup camera monitor in a spot where you’re already used to looking. When you have it in rear camera mode, you can swipe up and down to adjust the view, but there is a glitch that causes a screen flicker when it’s in backup mode in some models. Unlike the other backup cams on our list, this monitor does require some wiring for power, but it’s basic enough for DIY installation. 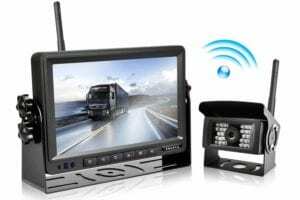 If you’re not sure you want to rely on a wireless connection for your backup camera, the eRapta might be a good choice. It gives you the option of either plugging in the monitor to your cigarette lighter and using a wireless connection, or running a wire from the monitor to the camera. eRapta offers 24-hour customer service to help you if you run into any problems. The camera’s 149-degree angle is wide enough for a good view, but it’s not so wide that the image gets distorted. It’s fully waterproof with LED lights for night vision, but its design might obscure parts of your license plate. While the Car Rover License Plate Frame Camera doesn’t come with a monitor, it has a lot of other notable features, like distance sensors and a voice alert system to let you know how far away you are from objects. The image is as crisp and clear as an Ultra HD television, but there is some delay if you decide to use your phone as a screen. 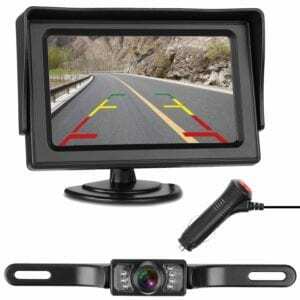 We recommend purchasing a separate monitor or using a dedicated smart device just for your backup camera. We like that the camera is integrated into a heavy duty frame, so you don’t have to worry about clips or mounting, and it looks a lot sleeker than a clunky license plate camera. Car Rover’s customer service is also excellent, with lifetime tech support and 24-hour customer care. Can I connect a backup camera to my car’s head unit? Yes, and it’s an ideal way to connect a camera that doesn’t come with an LCD monitor. 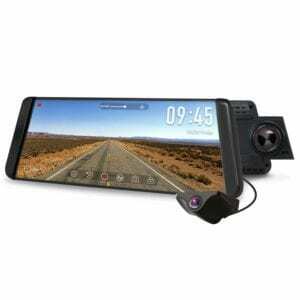 As long as your head unit has a screen with video capability, you should be able to pair it with your backup camera. If your vehicle doesn’t have a modern head unit, companies like Pioneer make Super Hi-Vision touch screen units that can control your stereo, navigation system, and backup camera. But keep in mind that if you want to put a new head unit in your vehicle, you’ll probably need to get it installed by a pro. Will a backup camera help eliminate blind spots? It will definitely reduce the number of blind spots, but depending on the field of vision, most backup cameras can’t eliminate them completely. You should always use your car’s rearview mirrors and your own line of sight to check blind spots before reversing or changing lanes. A backup camera does cover one of the most dangerous blind spots directly behind the vehicle, however, reducing your chances of tragic rollovers and unfortunate parking mishaps. Will my rearview camera work with Android Auto? Yes. You can connect your backup camera to your vehicle’s head unit, so you can view your backup camera as soon as you put your car in reverse. The Android Auto app automatically switches the screen to your backup camera so you get a clear view. Can I store video from my backup camera in my iCloud photo library? Yes, but only if your backup camera has video recording capability. If it does, then you can download the video from the device onto your computer, and then upload it to your iCloud photo library. This is a great way to provide video evidence in case of an accident. To evaluate the best backup cameras, we considered the most important necessary features for vehicle safety and convenience. We compared features and specs on the camera systems currently on the market and picked the best options available. Visit our methodology to learn more.